Currently on tour with the behemoth that is Cannibal Corpse, Gatecreeper are seeing the year out in style. Releasing their critically acclaimed debut Sonoran Depravation last year, the band have been making quite the headlines recently and now we’ve got two new tracks to listen to. Fed a healthy diet of Swedish Death Metal riffs Gatecreeper are not a band to be trifled with. Releasing a brand new EP Sweltering Madness, no doubt in support of their coveted slot on Cannibal Corpse’s current tour the band have unveiled two new tracks. “Sweltering Madness” and “Mastery of Power“, it might be a little early to be wishing for a new album but these new songs are just enough to keep us ticking over. The tracks themselves are just as heavy as you might have thought, the title track features a sick groove at the final section. Recorded at Homewrecker Studios in Arizona, the songs were then sent off to production and modern day hero Kurt Ballou to be mixed at the man’s God City Studios. The tracks themselves bring the signature groove that the band are known for to the forefront yet see the band expanding on their already lethal concoction of Death Metal goodness. 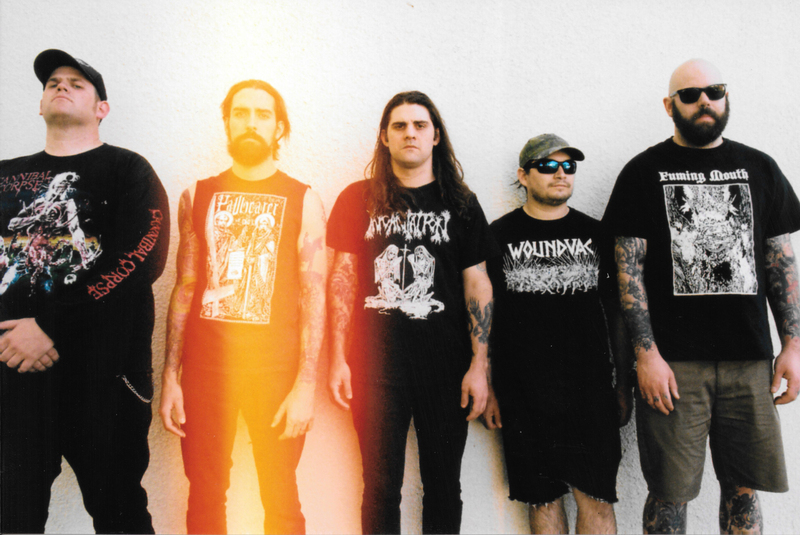 Gatecreeper’s brand new EP is out now via Closed Casket Activities. Pick it up here!